It’s somehow seems fitting that Aphrodite, the Goddess of Love, was born from the sea-foam. Love is so much like the ocean. It ebbs and flows. It gently carries us along. It rages and crashes. Sometimes it makes us feel nauseous. And, it wears away at the rough edges until they are smoothed. I live by the ocean and it reminds me to live with love. To make decisions with love and compassion. And to remember that sometimes it’s okay to be angry and storm. To shed salt-water tears. But, like waves on a shore, gentle and persistent love will erode the jagged rocks of worry and pain in my life until they are but fine grains of sand. 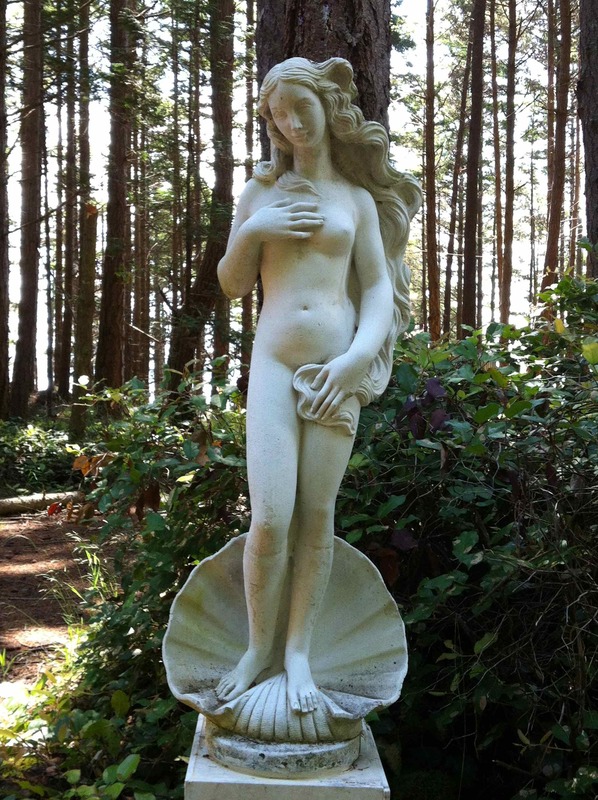 This entry was posted in gratitude, nature and tagged Aphrodite, love by WendyA. Bookmark the permalink. Beautiful! Where was this picture taken? Saturna Island. We went to explore an estate-sale (found some awesome stuff!) and she was at the end of the driveway of the cabin next to estate sale!